I know I’m not the only one who, upon becoming a mother, discovered a profound desire to create. Inspiration flourished and yet free time was virtually non-existent. Irony, it can be so cruel! When Che was two I discovered a Steiner playgroup in a cottage at the end of my street. It was there that I met Patricia, a creative matriarch who let me in on the secret; the only way to fulfill creative pursuits whilst mothering small children is to make them a priority. In other words; do what makes you happy, the rest can wait. Perhaps it wasn’t a secret so much as a permission note. I took it home with me, tucked it away for safe keeping, and got on with writing and taking photos. Sheree Steele, Founder and Designer of Little Noggi, is a mother by day and a maker (and milliner!) by night. Motherhood inspired her utterly unique collection of handmade hats – beautiful, practical headwear that is nostalgic, sustainable and purposeful. I chatted to her about her initial inspiration, the creative process, her zero-waste studio and her everyday life. PS: What was the seed that has now become Little Noggi? Sheree: There is actually more than one seed as to why I began my Little Noggi venture. When my son was six-month-old, he had one brimmed hat and a few knitted beanies in his wardrobe. I’ve always adored headwear for my children and myself and living in Melbourne, we need something that suits the rather common scenario of four seasons in one day. I wanted something that could protect them all year round and be the essential, practical hat. Enter: the reversible design ENA, named because it’s the Greek translation for number one, the first hand in the series. As my children were my initial motivation behind Little Noggi, it seemed only fitting to acknowledge their family blood line in the name. Becoming a mother has also stirred up a personal pursuit to encourage my children to be comfortable in their own skin. I want to inspire them to be confident! It’s a lesson I nurture every single day and it is, ultimately, the essence of my Little Noggi mantra. And last but not least, my mission is to make a positive environmental change in my lifetime. It may be so small in the scheme of things but small things done with good intentions are always significant. All of my choices when making a Little Noggi hat are heavily thought through when it comes to people and the planet. I actively bring this topic to light on social media to at least get people to acknowledge they have a choice, too. I adhere to zero waste in my studio and try to create a home for every mm of fabric that I can. Not only because the fabrics I source are incredible, but because I respect the love that has gone into the fabric before it has even arrived to me. Sheree: Little Noggi designs are incredibly practical and aesthetically charming. 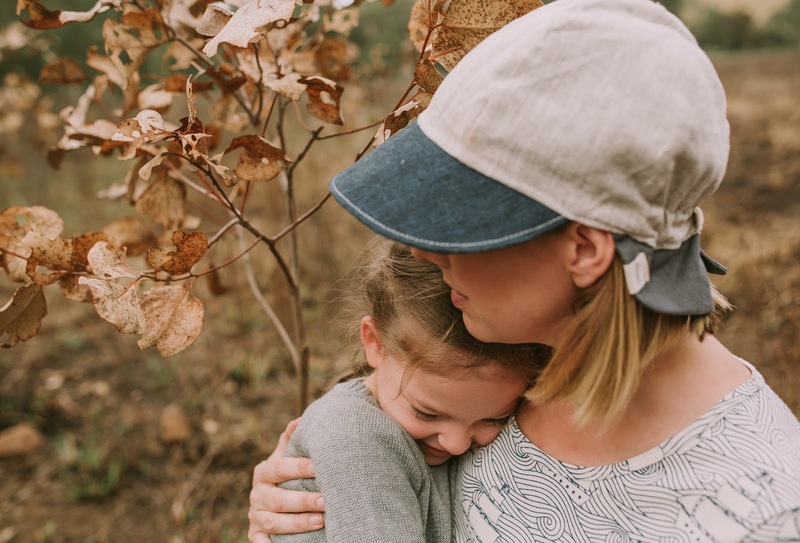 They also solve many of the hat-associated issues that parents come up against on an almost daily basis; the thoughtful features shield sun and glare, cover little ears and fasten under the chin. It’s a clever little hat that inspires fun and peace of mind while playing. The Little Noggi style is timeless and unique and I’m mindful to try and steer clear of trends. If I feel I trend is generating around one of my designs I will simply alter the path I’m going. To ensure my customers know they are purchasing an undeniably unique piece, I only make small limited editions of up to 100 and each hat is numbered for authenticity. I source the majority of fabrics from the global community of indie textile designers. They must be handprinting experts, have a focus on sustainable design and practice planet-friendly ethics. I love that my small business is supporting other artists and small businesses. It was on my objective list from the very beginning and I feel happy in my heart to be operating this way. Little Noggi is about bringing nature, play and art together. I draw most of my inspiration from my neighbourhood in Melbourne and the seasonal elements around me. I like to let the fabric design do most of the talking, with minimal stitching and using the finest quality natural fibres I can find. Hemp, organic cotton, bamboo and linen blends are what I base my aesthetic around and texture and subtle playful patterns are what bring it full circle. Little Noggi hats are designed to be life-long; they are intended to be a family heirloom piece, made with integrity and love. There’s no denying that a Little Noggi hat can make a complete stranger smile. I stitch those powers in on purpose! PS: What do your customers love about your creations? Sheree: They love the handmade quality of Little Noggi. It is quintessentially art, uniquely wrapped into a practical hat, and enjoying that from afar while watching your little one immersed in candid play just makes it all the more sentimental. 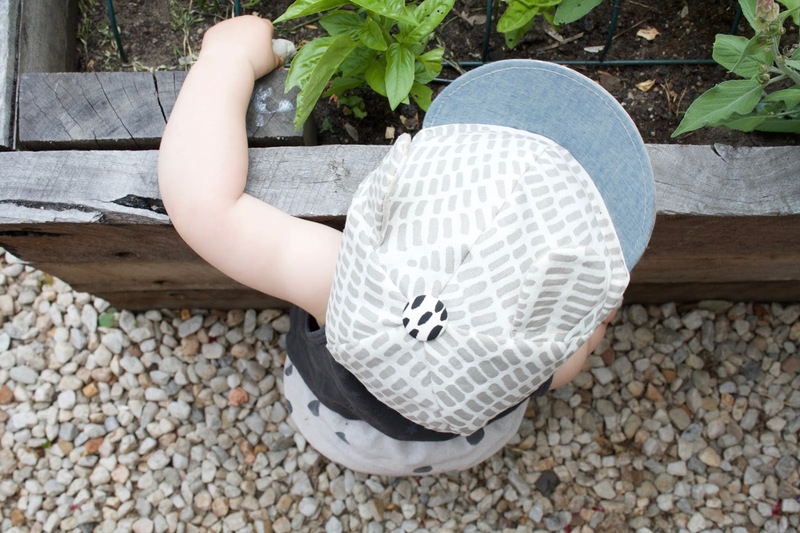 My customers often tell me that their child will automatically reach for their Little Noggi hat when they go outside. It took me eight months to perfect the comfortable, functional and playful design so this kind of feedback is heart warming. PS: What does a normal day look like for you? Sheree: I live in Fitzroy North, on Melbourne’s city fringe. My neighbourhood is a hugely creative little pocket in the world, ripe with artists, cafés and strip shopping culture and it gives me endless inspiration for confident unique design. No day ever looks the same with 2 little ones (4 and 18m), my hardworking hubby and running the home, it’s no surprise it’s a constant state of busy. We pram, ride or tram most days and love to support our small local businesses in anyway we can. We are often outdoors having all sorts of adventures when the sun is up. We don’t have a backyard so The Melbourne Zoo, Collingwood Children’s Farm and Ceres Environmental Park is where we hang most, meeting and making friends. In celebration of Mother’s Day, Sheree has just launched her first women’s design, ORCA. A sophisticated take on her original hat design, Sheree has used beautiful fabrics in a palette of navy, grey, indigo, charcoal and black to inspire elegant, everyday wear. ORCA is entirely handmade and available in a limited edition of 50. And guess what? Sheree is ever so kindly giving one away to a Practising Simplicity reader. To enter this divine giveaway all you need to do is tell us how you would style the hat. We want to know how you would wear it. To the races? An elegant edition to your bushwalking attire? A beautiful take on a headwear necessity? Open to international readers, this giveaway closes on Wednesday May 11th at 5pm. Winner will be announced shortly afterward. You can keep up to date with Little Noggi’s adventures over on instagram, too. Competition closed. Congratulations to Anthony! I’ll be in touch (and your wife will be very happy, no doubt!). These are gorgeous hats and I have to say such a timely giveaway for me. Today I was teaching and I grabbed my reversible Billabong hat from my bag ready for playground duty only to find that it was all discoloured on the white side. I have to have a sun safe hat with a good brim for playground duty but I find my larger straw hat awkward to pack for a day at school. I would love to be a fashionable teacher sporting one of these hats at school. Thanks for the opportunity. It's beautiful! I would definitely be reaching for it each day as I head outdoors with my 2 littles. We spend many hours each day outside and as a red haired, blue eyed girl, sun protection is always a good thing. What a beautiful and insightful interview. I am always so interested to hear how creative minds work as alas I am lacking in the creative side myself but so enjoy seeing what those gifted with imagination can create. I would be so very honoured to be the forever owner of this gorgeous Orcha hat. I would style it with my life, never very fashionable or on trend, but always filled with adventure, love and laughter. I have long been envious of my babes growing collection of little noggi hats. Being a mum to a busy toddler, we are constantly exploring outdoors. Exploring our neighbourhood, feeding the ducks at our local pond or simply enjoying the sunshine I know Orca would be right at home on my head. What beautiful hats! And then there's the driving forces behind the business concept. Wow! Blown away! I would style this hat simply, to protect my nose and face from the sun while I'm out and about completing farm chores and wandering around taking in the beauty of the place that I am lucky enough to call home. Even if I am not fortunate enough to win this giveaway, I'm bookmarking the shop for future reference, I've a little one on the way who will definitely need protecting from the sun, as well as the nippy cold winds we get out this way. Thanks for sharing such a beautiful product and business! Lovely to read this interview. My littles are super lucky to each own a Little Noggi. I'd love to style it up matchy, matchy with my children with all three of us wearing Little Noggis to the local playground! What lovely hats and beautiful ethics behind the business. I would love a hat to simply wear every day, I live in a sunny spot that doesn't get too cold in winter and hats are still very much needed at this time of year so I would just wear it. I have a large head and find it hard to find hats to fit…..a hat that doesn't give me a headache would be delightful. Thank you for the opportunity. with sunscreen and a smile! adventuring in the great outdoors with my young little noggi clad sun beside me, in my beautifully designed orca, laughing, learning and making memories. 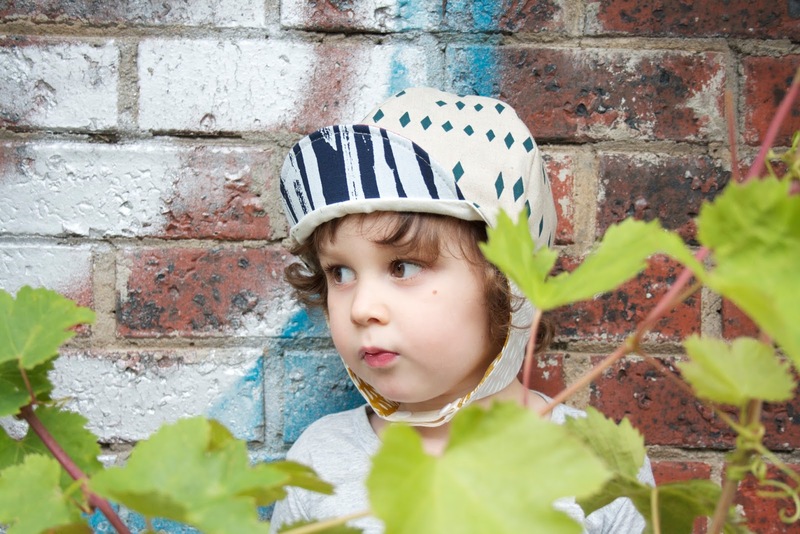 Sheree makes such beautiful hats – I'm lucky enough to own one for my bubba! If I was even more lucky to win an Orca… It would be a part of my daily routine – our pram walk through the park. Keeping active, getting some much loved sun and allowing my little one to explore in the great outdoors – couldn't make me happier! I love these hats! They are so beautiful and the quality looks and sounds amazing. I encourage my children to wear a hat every day (sun hat in summer, warmer hats in winter). This year both my boys are going to get a Little Noggi hat as their birthday presents. I would wear this hat everyday with a pair of jeans, tunic or dress it would really complete any outfit! Stunning. Ooh! I have been searching for a hat that I can fold up in my purse, but that also looks really cute and goes with my colourful wardrobe. I think this one is IT! Last summer I was in the newborn fog and didn't fit any of my cute clothes. This summer coming up (in Canada), I finally fit most of my clothes and I'm no longer breastfeeding all the time. This means I can wear all of my beautiful, colourful dresses and tops that I bought when I lived in Australia! Gorman, Leonard St and Little Tienda all make appearances. It really makes me feel like myself again to put thought into my clothing. I would wear this hat with a sundress and sandals on my way to the park with my 14 month old, Cecil. Or maybe on a neighbourhood walk, trip to the farmer's market, anywhere really! Thank you for the giveaway! We are heading towards summer here in Italy, and while I would love to wear it while walking on a sandy beach or while relaxing in the garden with a fresh drink in my hand, it will end up on my head while chasing my kids around the park or sliding with them at the playground! I'm not normally a hat person, but only because I haven't found the right fit. This could be the one I've been waiting for. Beautiful, and thank you. They are very powerful words Patricia passed on to you. It has taken me years to learn to make my creating a priority. What an incredible way to contribute to the wider community by making a practical and beautiful item that is also so considerate to the environment. I absolutely adore the Dapple Meraki – perfect for our Snowy Winters. Beautiful hats with a beautiful story behind them! If I were to win Orca it would be worn most frequently as I help my daughter plant her first garden. She has already started seedlings and it is a joy to see how happy they make her. She sings to them each day, waters them, and frequently asks when she gets to plant them outside. It's still a little chilly in our neck of the woods, but in two weeks time is the anticipated last frost and to have a hat to accompany us in our gardening adventures would be a true gift. Thanks for sharing such a wonderful interview with a truly inspirational Mamma! I would love to win the 'Orca' SUNNY for my mummy dearest. I know she would style this with positivity. Honestly she is the most positive person I know and that truely shows from the inside out. I know the true purpose of Orca would protect my mum while her hair is growing back after all the chemo she has received the last year and a half with her last treatment being in May. With everything negative that has happened she has still remained so positive and making sure everybody else around her is OK is her first priority. That's what I believe the true meaning of Sunny Orca is- Positivity (sunny) and the protector (orca) That's my mum. The strongest woman I know. Please pick me – I would wear this gorgeous hat walking around Rome and Sardinia(italian summer you know), this June and July. My six year old son and my husband are cutting loose and breaking free and just doing something wild. That hat would be perfect!Just yesterday I looked at my straw hat and thought "you will never survive the plane ride, what will I do?" I was lucky enough to order a boo sunny for my daughter at the last restock and would love an orca sunny for myself. It's funny you mention the races Jodi, I only attend one race meet a year which is in two weeks time and had I been successful with the orca ballot that would have been it's first major outing. Fingers crossed that may still be the case. I was dreaming of pairing it with knee-high leather boots, skinny leg jeans, a black cotton blouse and my merino snug cardigan. After that however it would become one of my wardrobe staples because with fair skin a good hat is a necessity. WHat a wonderful giveaway, and a fabulous brand that I have still not been fortunate enough to be able to order, despite trying a few times…. I'm a red-haired, fair-skinned Aussie living in the Netherlands, and I'd style this hat with a cotton shift dress, an oversized leather bag and gladiator sandals, and use it as a wardrobe staple through Summer. We're counting down the days until our next overseas holiday during the summer vacation, which will be a week in Dubai, so it would also be a very well travelled hat! I'm in love with little noggi head wear! My son is lucky enough to have 2 of sheree's designs in his wardrobe which he rocks on a daily basis in the backyard, down the park, beach everywhere we go! I would love to rock a little noggi with him, would be ultimate mother/son matching!! Been a long time fan of Little Noggi and so excited about her new ladies' range. I'd wear it on a nature walk with my family as it's one of our favourite family activities. For walks and outdoor adventure, I would style it simply. Colors to match and a smile. Having incredibly fair skin (sometimes described as a moon tan) sun safety is of the utmost importance in our family and sun protection a necessity year round in sunny Brisbane. To style the Little Noggi, this one would wear it daily with her staple jeans (jean shorts most of the year! ), cotton T-shirt, summer sandals and always Australian designed and made fine jewellery. What a wonderful story, such an inspiration to create! I would love to use the Orca Sunny on a daily basis. We go on walks everyday and I know this lovely hat will transition well from walk to running errands about town. I imagine this with a cute sun dress or jeans and a loose t-shirt. Appalachian trail as I enjoyed today – would be amazing for all the time we spent outdoors. My littles wear hats all day every day but I neglect my own head. Fingers cross for this chance! The Little Noggi Orca hat would be a staple in my everyday life! My little one and I are always popping out for a quick walk down the street to our local shops and a park trip is almost a daily occurrence. We never leave the house without our hats and I can already see the Orca sitting pretty on my head while I watch my little poppet playing and exploring. I have followed Little Noggi for a while on Instagram now and I am hoping to score one of her new designs for my girl in the next release. Loved reading this post, thank you! Loved reading this interview and finding out more about the incredibly talented woman behind Little Noggi! If I were lucky enough to win my very own adult Little Noggi creation, I would proudly wear it out on all my little adventures with my darling 1 year old. I can see this little unique piece of art drawing out my inner child everytime I wear it and accompanying me as I continue creating more amazingly precious memories with my little one. I would wear my Orca in the park, on the beach, in the city, by the lake, in the playground… with my jeans, my sneakers, my sandals and my shorts. I would wear my Orca everywhere, with everything, with love. I would love to win this as I have extremely fair skin and I am always wearing hats when I am outside weather it be sunny or not and I just love the style and design of this beautiful piece it truely is an heirloom piece that I would treasure and love and when I'm older and gone I'd love for my children to be able to say that was mums hat she used to wear it everywhere. I think it would go with everything. These hats are such an amazing piece of art. You can tell they are so lovingly created using such beautiful quality fabrics made to stand the test of time and wear. I would be honored to own one of Sheree's masterpieces. I would wear it on all my outdoor adventures with my darling son. Beach, park and backyard. Such a stunning way to show off style and protect from the sun. I would style the 'ORCA' on my Mum they would be the perfect combination because there isn't a day that goes by my Mum isn't wearing a hat. I think the 'ORCA' would look right at home with a pair of jeans and boots while checking the sheep or teamed with lots of layers on an outing with friends for a coffee. If the 'ORCA' came to live with my Mum it would spend a great deal of time exploring the farm with the grandchildren and could be styled with anything from dress ups to gumboots for jumping in puddles. I think a Little Noggi hat is the perfect finishing touch to any outfit and is a wonderful heirloom that would be passed down through future generations. This hat is divine ! My kid wears his everywhere and I really would like an adult version. I would wear mine daily with any attire as it is a simple and chic styled hat – easily dressed up or down. Thank you ! I would wear it on my head, i would wear it to bed, i would wear it on a train, i would wear it on a plane, i would wear it everywhere! A fan i am! So lovely to see a mama version of little noggis coveted millinery creations. We live by the beach so the orca would be perfect for our daily wanderings and explorations through rock pools and sand dunes here on the Bellarine Peninsula. My wife hasn't stopped talking about Orca for weeks. She's fair, ginger haired, prone to burning and yet is currently hatless. I would love to surprise her with an Orca for her birthday next month. She would wear it everywhere and accessoried with our children's arms around her neck. I love the story behind these hats. Wow wow it is amazing to read the story behind this beautiful brand. If I had the chance to own one of these gorgeous hats I would honestly take it everywhere! But the one place that dose come to mind where I would love to wear it is on out adventures to Phillip island. We go down there to visit our grandparents and go exploring! We go for walks along hidden beaches and recently found little penguin houses so now we visit them every time! We love to go down to the main town and try all the wonderful homemade food at some of there little cafes next to the beach. The Orca will fit in beautifully on my head while we are in Phillip Island, is sunshine or rain it will be worn and loved dearly. These are beautiful! I can definitely see myself grabbing for one for lots of outdoor play with my 2 little boys. Great for zoo trips and everyday wear! Four seasons in one day. I live in a small west coast city in the North Island of New Zealand. From my house I can drive 25 minutes South East and arrive at the foot of our Mountain; Mt Taranaki. I can take my children up and enjoy the snow in the winter and the amazing bush tracks in the summer. Once we've had our full of mountain air, we can simply turn the car around and head back down the mountain and just a short 30 min drive North West I can park the car and set my children down in the amazing black iron sands of our local beaches. Styling an 'Orca' where I live would be easy to do. Because we can literally sit on the beach and watch a pod of Orcas swim by, so this stunning hat would fit right in. I live in Taranaki. Would love to match my little guy on outdoor adventures. What a great read, and fantastic to see how the Little Noggi brand has grown since our first purchase 18 months ago! When my olive-skinned, dark-haired mother was pregnant with me, she wished a for a little girl with red hair and freckles – and that's exactly what she got! Growing up in the 80s, we never wore hats, and it was only after years of head shaking and stern admonishments from a series of skin doctors that I started covering up my pale, freckly skin. I would LOVE one of these beautiful hats to wear when I take our enormous rescue pups on their daily walk along the Maribyrnong River – I'd style it simply with a light cotton shirt dress and sandles, to be cool but covered while I scoop poops with all the dignity I can muster :). Thank you, my wife will be thrilled. I look forward to hearing from you.